Is your kitchen function only? If your answer is yes, let me help you change it. After all, who wants to cook in a kitchen where the colors are drab, or the space doesn’t work the way you need it to? I know I don’t and I bet you don’t either. 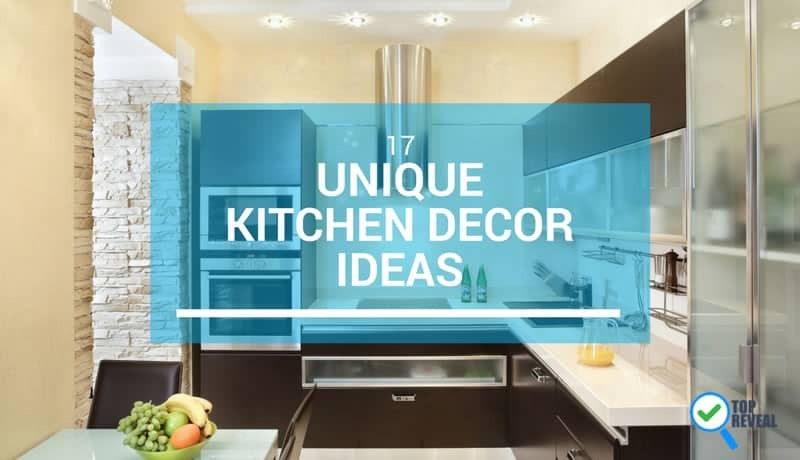 And now, with my list of 17 Unique Kitchen Decorating Ideas, you don’t have to. As you’ll see from these pictures, having an HGTV-worthy kitchen is possible- you just need a little inspiration! 1.1 1. It’s all about Space. 1. It’s all about Space. One of the chief complaints from many homeowners is a lack of kitchen space, and as you can see from this picture, a kitchen island can help you with that. 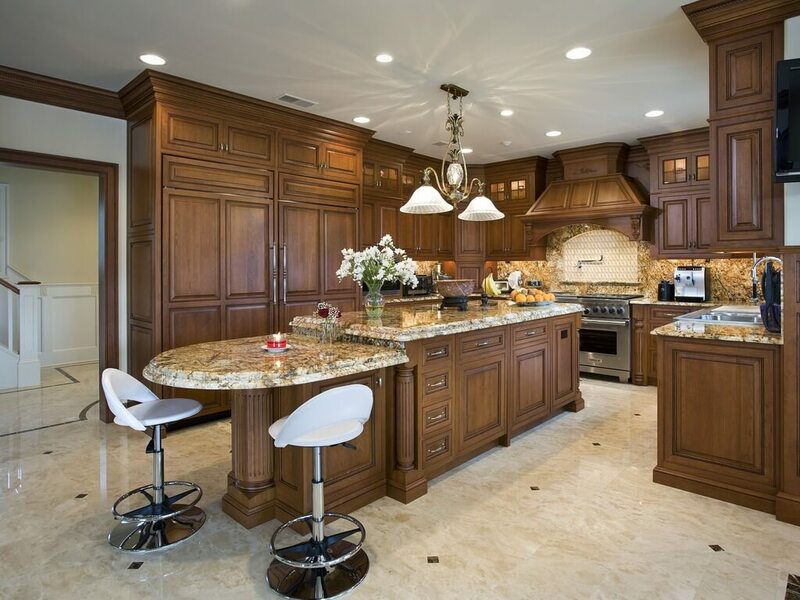 Offering a chic place to gather, many islands also have extra cabinet space and storage. Give your kitchen an air of elegance with upgraded materials. A mere face-lift for your cabinets and new counter tops can easily transform any kitchen. Give your kitchen an upscale finish by spending more on high-end appliances to add to your island. Not only do they look beautiful, but they also make cooking more efficient. Your multipurpose island counter top will enhance the unique options of your kitchen, and open you up to more opportunities to get creative. Click here to read up on how to make the most of your kitchen island. 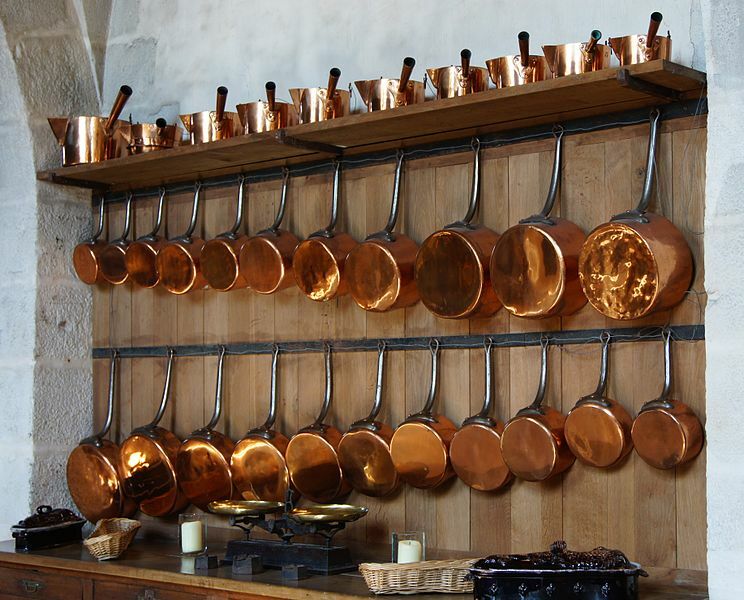 Hanging racks will offer additional storage, and give you the opportunity to highlight some of your prettier cookware. Vintage accents in a modern kitchen will catch the eye, and offer a pleasing juxtaposition that your family will enjoy. A little extra space in the kitchen opens you up to some decorating options. Hang art that fits your kitchen’s motif, and highlights your family’s interests to make the room pop. Read more ideas on kitchen art here. A lot of people are going this route now. Mounting a television in your kitchen can offer you a good way to pass the time on some of those longer days spent prepping food. If you have optimized your storage with a kitchen island and pan rack, you will certainly have the room for it. Of course, if you go this route, it will be even harder than it was before to get people to clear out of the kitchen. Remember to have a steaming machine to clean up or a mop afer use. For ideas on how to creatively place your new television set, go to Houzz. 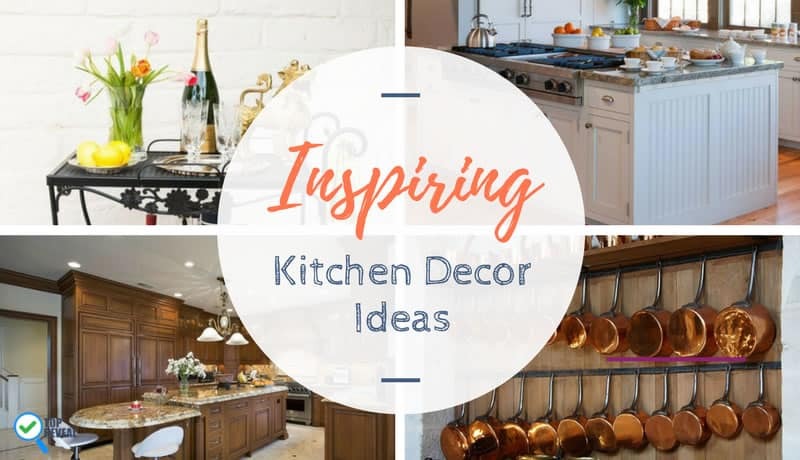 You don’t necessarily want your kitchen to look like an artist’s pallet, but a few splashes of color here and there will actually serve to brighten the room. Whether you chose earthy tones, or prefer the lighter end of the spectrum, you will find that color splashes give your kitchen walls and cabinets a desirable taste of personality. Read HGTV for some tips on painting your kitchen. 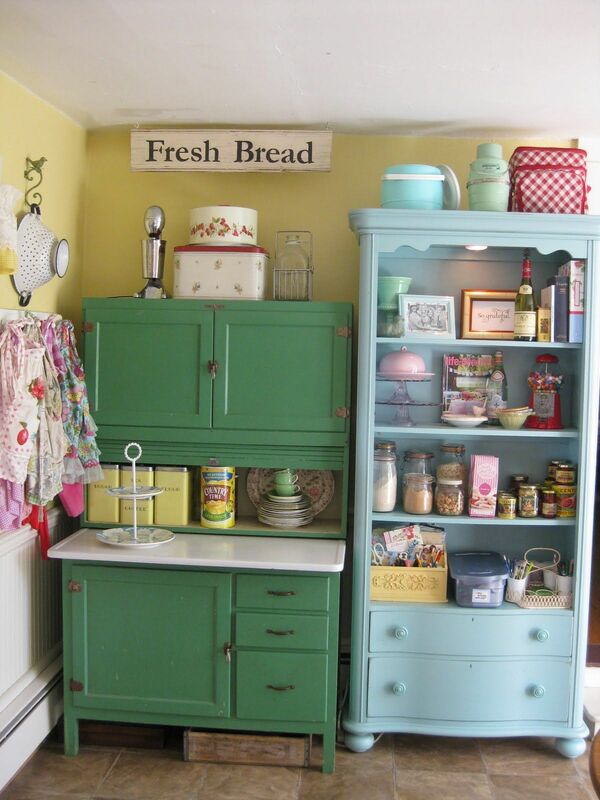 Have some fun with your kitchen, by painting the interior of your cabinets in a bright color. Little touches go a long way. 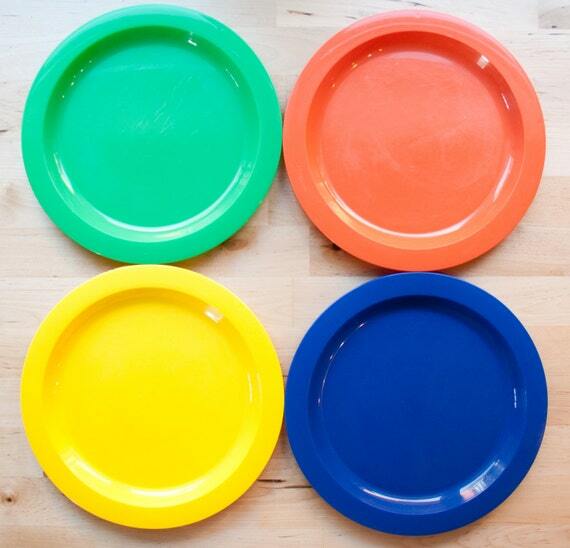 Multi-colored plates are a simple and inexpensive way to brighten your kitchen. They’ll add an element of fun to dinner, and they won’t look bad in your newly painted cabinet interiors either. I like primary colors—light blue, yellow, and green, but the choice is yours! Click sfgate.com to read up on color coordinating your kitchen. A well-chosen rug serves more than one purpose. 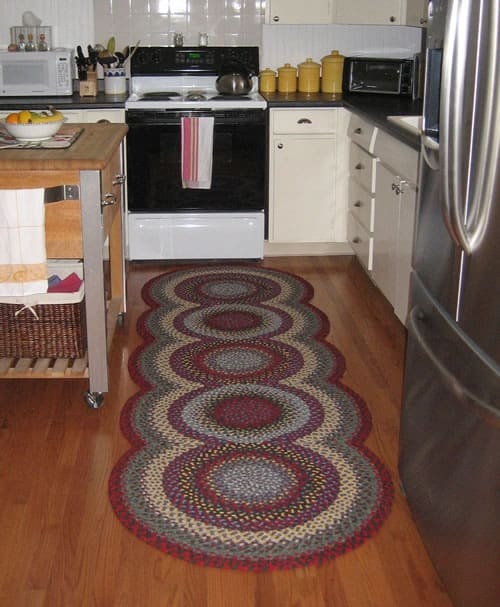 Besides tying the room together, a good rug will offer a little bit of comfort from what can be punishing tile floors. If you have ever spent a long day in the kitchen, you are aware of how nice that is. I love a good cookbook. If you do too, you might enjoy the chance to display yours in your kitchen. If you’ve freed up some space with a kitchen island or hanging pan rack, you might consider repurposing a few shelves to display your cookbooks. You may need a Miter Saw to build it. Throw in a few choice platters and a nick knack or two to really make the display pop. 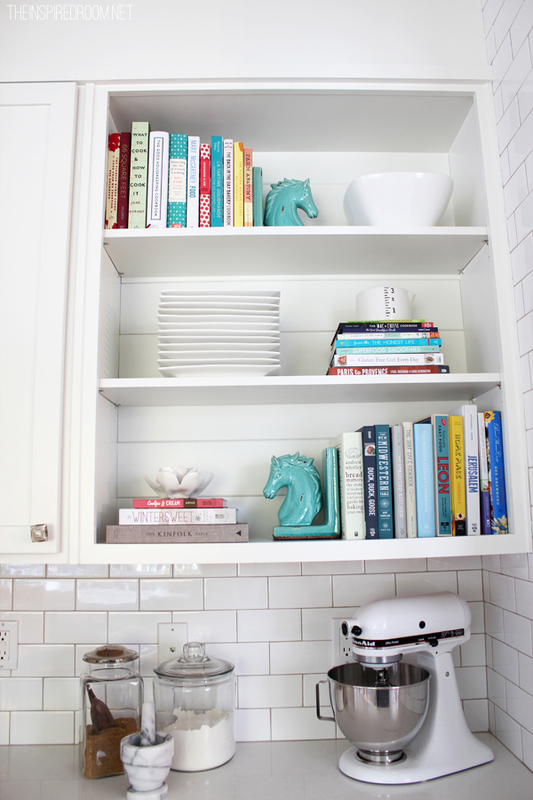 For more on kitchen bookshelves, see on Pinterest. Forget about the annoying, function only cabinetry knobs, and go for something a little more fun. Truly there is no end of options, so get creative. 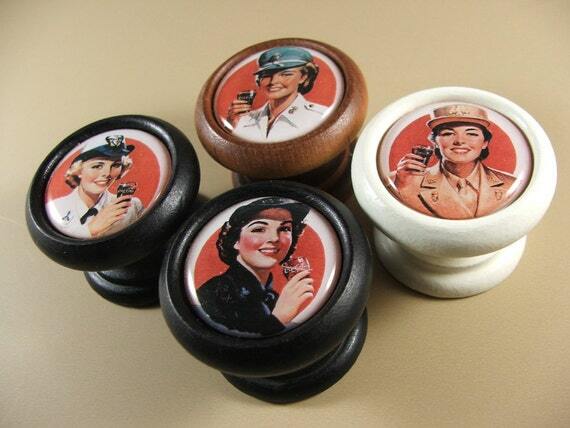 Click here for more on decorative knobs. Hanging a chalkboard in your kitchen may at first sound silly, but it invites infinite ways to be both creative, and practical. Encourage your children to fill it with drawings, or use the space to coordinate your family’s weekly schedule. 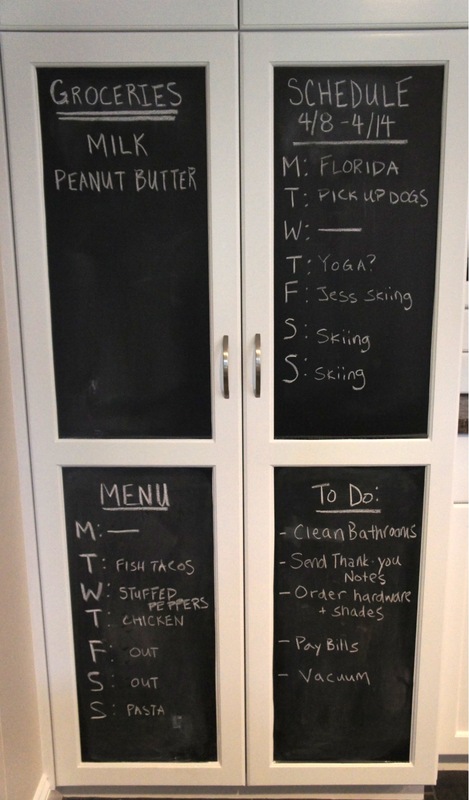 If you plan your meals out in advance, as I do, you could even use the chalkboard to make a menu for the week. For more ideas on chalkboards in the kitchen, read on Pinterest. 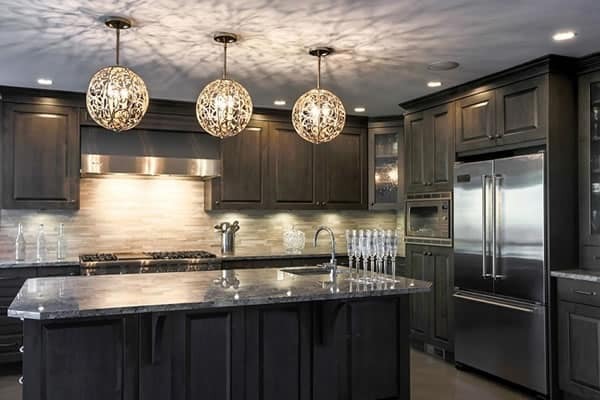 Make your kitchen space elegant by choosing a unique light fixture that catches the eye, and looks great. With a number of options out there, you won’t have to look hard to find one that your family loves. For more on light fixtures, click on Elle Decor. See other water purify appliance that you would have in your kitchen. Wood gives any space a warm and inviting feeling- which is why it works so well in kitchens. For more floor ideas, read on Houzz.com or use this portable appliance. Your kitchen art can do more than just brighten the room. A beautiful bar cart like this one will both serve a purpose and look great in its own right. Well, what do you think? These are only suggestions of course, but if you are considering, or in the process of optimizing your kitchen into being more than function only, then I do hope it helps. If you have enjoyed, please share, and if you have thoughts or suggestions, please let us know in the comments section!